Welcome to CO— Get ready to grow! Everything that you need to know to start your own business. From business ideas to researching the competition. Practical and real-world advice on how to run your business — from managing employees to keeping the books. Our best expert advice on how to grow your business — from attracting new customers to keeping existing customers happy and having the capital to do it. Entrepreneurs and industry leaders share their best advice on how to take your company to the next level. Looking for your local chamber? The findings of a recent report conducted by the U.S. Chamber of Commerce in partnership with Amazon display how improving the digital space in rural America can generate economic benefits. Better adoption of online tools and digital services by businesses outside metropolitan areas could create 360,000 new full-time jobs in rural areas and add more than $140 billion to the U.S. economy over the next three years, according to the findings of a newly released report conducted by the U.S. Chamber of Commerce’s Technology Engagement Center (C_TEC) in partnership with Amazon. 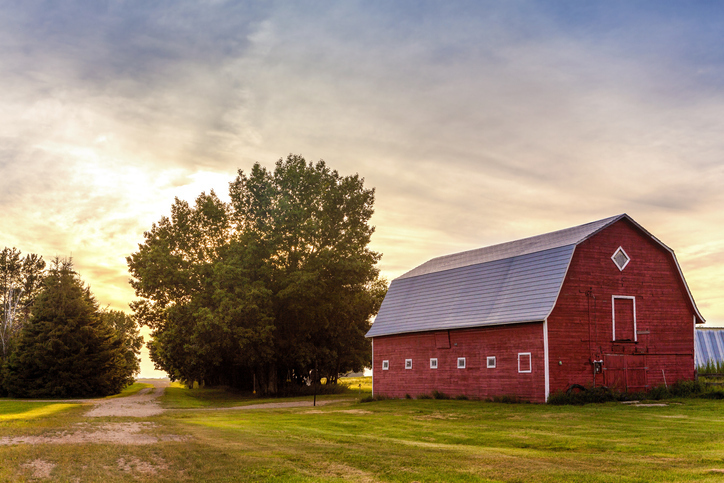 The report, called “Unlocking the Digital Potential of Rural America,” conducted with market research firm Ipsos, surveyed 5,300 businesses in rural regions to examine digital challenges and outline recommendations for growth. Education and training, better access to digital talent, innovation incentives and wider availability of high-speed internet access and mobile phone connectivity are among the chief drivers of faster growth, the report concluded. Another area where the Amazon report sees potential for businesses to leverage digital technology is reduction in operational costs: 29% of rural business owners surveyed said online tools reduce purchasing costs of products and materials, with 22% purchasing at least 80% of their goods and services online. Access to digital connectivity is a challenge across many of the nation’s rural regions. Nearly 27% of rural U.S. residents do not have access to broadband high-speed internet, defined by the Federal Trade Commission as download speeds of at least 25 megabits per second (Mbps) and upload capacity of at least 3Mbps. Two thirds of rural small businesses surveyed in the report said slow internet and cell phone connectivity have a negative impact on their businesses. Greater adoption of digital technology can grow revenues of rural businesses by $84.5 billion each year (21%), the report concludes, with states in the South reaping the greatest benefits. Estimated revenue growth potential for rural businesses in West Virginia that adopt more digital tools is 57.6%, followed by Alabama with 32.9% and Mississippi with 32.8%. Texas, Ohio and Mississippi stand to gain the highest number of new jobs, according to the report. In addition to recommending infrastructure improvements to bring high-speed internet connectivity to more businesses in rural America, the report found that 41% of survey respondents agree that policymakers should create programs to incentivize rural businesses to incorporate digital technology into their daily operations. We’ve seen firsthand how rural entrepreneurs can transform their businesses through digital technology. CO— spoke with two business owners in rural Bay Saint Louis, Mississippi, who did not participate in the survey but agreed with respondents who said digital incentives would be welcome in their areas where service is both costly and unreliable. “Yes, any savings that would impact your bottom line that you could invest back into your business or upgrade what you have [would be helpful],” said Regan Kane, owner/broker for John McDonald Realty, Hancock County’s oldest real estate firm, whose clients hail from about 10 states looking for vacation homes on the Gulf Coast. “Tax incentives, tax abatements at the local level, maybe some sort of credit toward reinvesting in technology to make it more efficient and dependable [would be appreciated],” he said. “We are dead in the water without our technology,” added Angelyn Treutel Zeringue, president of SouthGroup Insurance Services-Gulf Coast, Bay Saint Louis, Mississippi, a Trusted Choice agency that writes coverage policies for clients in 40 states. Nearly 40% of small business owners surveyed in the Amazon report said digital technology has allowed them to transact business beyond their home states and 16% are selling internationally, thanks to digital tools. One third of survey respondents sell products via their own e-commerce websites; 12.7% use third-party online sales sites; and 35.7% use online marketing, including social media. “High-speed internet and IP phones are critical so that we can conduct our transactions from anywhere,” Treutel Zeringuetold CO—.“We require transportability to succeed. We use smartphones, laptops, integrated scanners, cloud-based file servers for client data and financial data, online underwriting tools for risk management, intranets, transcription services for voicemail, social media, videoconferencing, wireless headsets, and more. “Online tools and digital services are very beneficial to small businesses and increase productivity and profitability. Digital tools level the playing field with larger entities,” Treutel Zeringue said, and yet she loses connectivity several times daily. Tax credits would encourage small, rural businesses to take advantage of more digital innovation, Truetel Zeringue said. “The policymakers would need to ensure that all types of businesses would be eligible,” including sole proprietors, S corp and C corp businesses. Access to digital talent is not an issue for micro distillery Grand River Spirits, thanks to its proximity to Southern Illinois University in Carbondale, Illinois. Located in an agricultural region known locally as “Little Egypt,” Grand River Spirits is Southern Illinois’ first legal distillery since Prohibition, producing craft whiskeys using local grain and fruit under the Red Eye and True Kinship brands. “There are plenty of entrepreneurs from our area who'd love to 'stay home' and support their communities,” Binder added, “but they simply don't have the tools and they are forced to leave the area." CO— aims to bring you inspiration from leading respected experts. However, before making any business decision, you should consult a professional who can advise you based on your individual situation. Designed for business owners, CO— is a site that connects like minds and delivers actionable insights for next-level growth. Create your company profile or share your story with us for a chance to get featured.